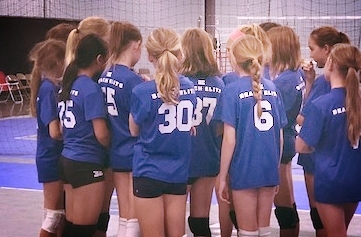 Our developmental program is great for kids and parents that want to try out club indoor volleyball without the long commitment and sometimes hefty cost. Our developmental seasons are only 3 months long. The purpose of this program is to educate and inspire our athletes to be great team players and all around athletes as we introduce them to competitive indoor volleyball. Each season also includes a beginning and ending team party as well as a team service project.